Among our most popular product ranges at Indian Traders is Native American Estate Jewelry. These Native American bracelets, necklaces, and rings are something very special and make a great gift with a unique flavor. Estate jewelry is a term that refers to jewelry that has been previously owned and loved, is of the highest quality, and may be up to or over one hundred years old. Not all estate jewelry is antique, however, all antique jewelry is estate jewelry. Some of the pieces of estate jewelry we have here at Indian Traders are only fifty to sixty years old; some are much older. Every piece has been preserved and restored and you’ll not find higher quality Native American jewelry anywhere else in the US (or the world). Large Navajo Turquoise Bracelet Circa 1960s (pictured above) – a magnificent piece featuring heavy gauge silver twist wire and magnificent dark blue turquoise with pyrite matrix. Harvey Era Single Stone silver and turquoise bracelet dating from the 1930s. 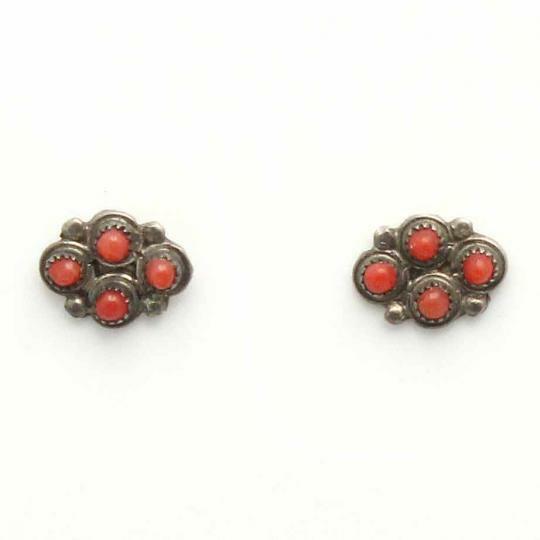 Zuni 4-Stone Coral Stud Earrings – red coral mounted in sterling silver. 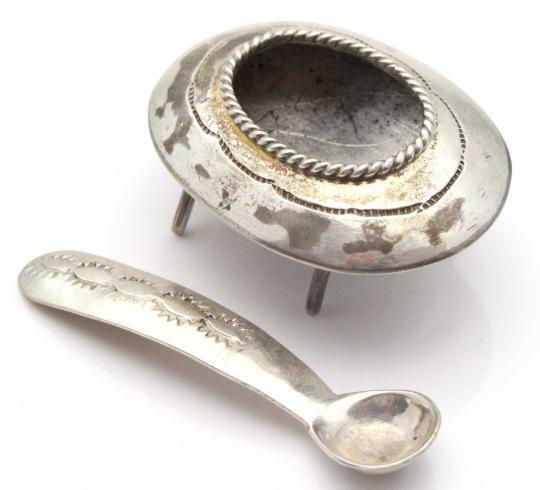 Miniature Navajo Sugar Bowl and Spoon Set – this set was purchased in the 1980s from Borrego Pass Trading Post and was unsold stock dating from the 1950s. A unique gift. Sterling Silver Stamped Match Book Cover – handcrafted in the 1960s at Borrego Pass Trading Post. 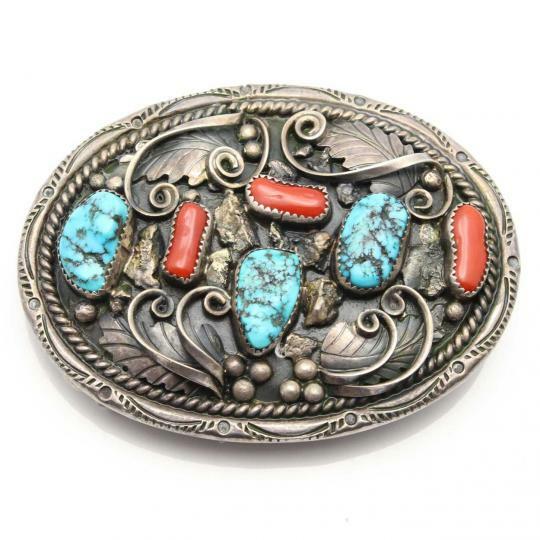 Turquoise and Coral Silver Navajo Belt Buckle – its actual age and origin unknown, this piece was pawned in the 1980s. It is a beautiful and intricate piece with an artist mark on its reverse. Choosing from a range of estate jewelry offers an opportunity to purchase a piece that is unique, has a story behind it, and these special pieces are very often one-of-a-kind. 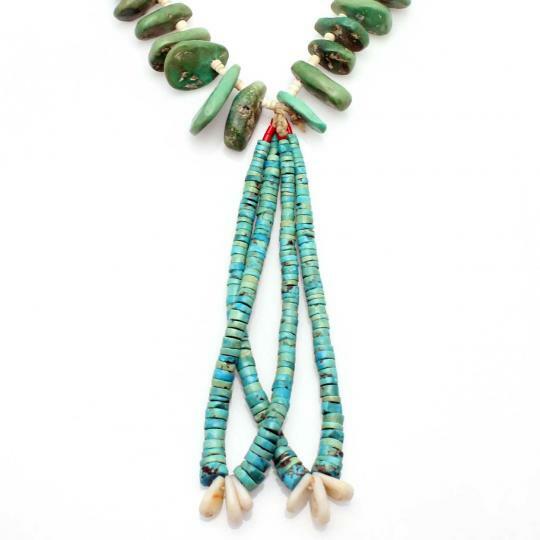 Browse our range of Native American Estate Jewelry, including Native American turquoise jewelry and Hopi Indian jewelry, to find that special piece for someone you love – or even for yourself! Our range changes regularly so keep coming back to find hidden treasure! This entry was posted in Native American Jewelry and tagged Estate Jewelry on April 1, 2019 by Rod.